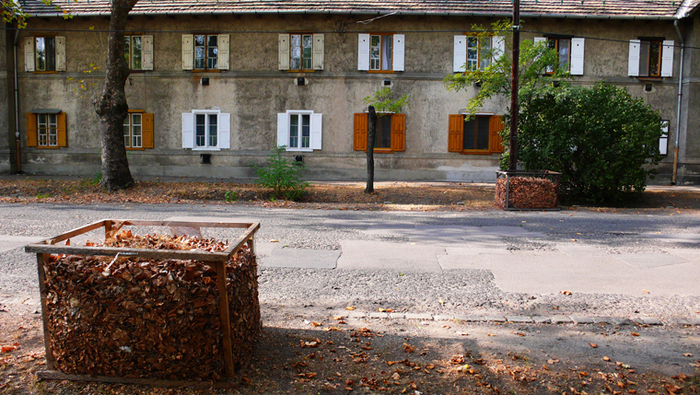 Fritz Haeg, Edible Estate #12: Budapest, Hunagry, 2012. Photo: Andras Kare. 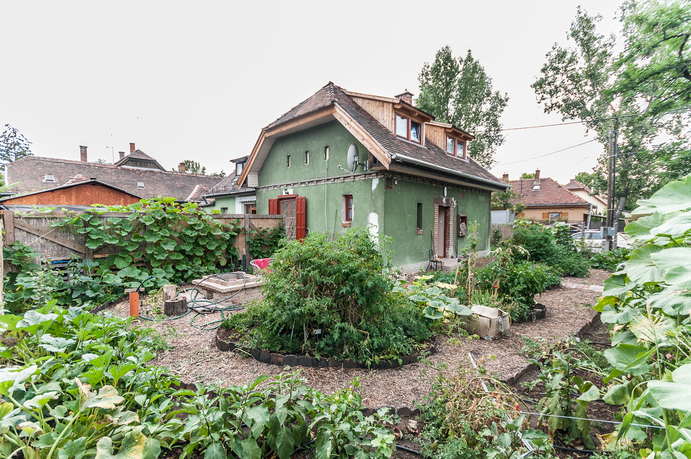 Edible Estate #12: Budapest, Hungary takes on the utopian-planned community of Wekerletelep, which was constructed between 1908 and1950 to welcome rural farmers seeking work in the city. 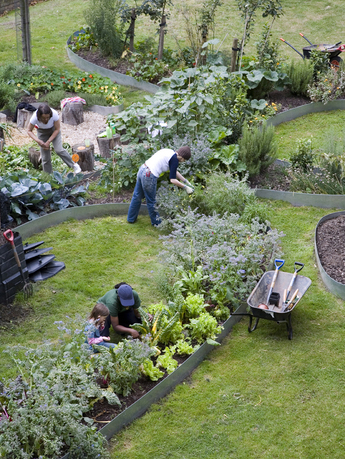 Inspired by Ebenezer Howard's Garden City, a variety of housing types were each given access to outdoor spaces where residents could cultivate the land according to their local tradition and grow their own food in the middle of the city. Today the neighborhood feels like an old dream, a hybrid of rural and urban village, where the open spaces designed for urban farming have been neglected and remain untended. An open call in the community will lead to a selected local family, with whom we will plan and plant an edible garden. A video, exhibition, workshops, photographs, and printed materials will tell the story of the first season of growth and suggest alternate possibilities for the rest of the city. The work of Fritz Haeg has included edible gardens, public dances, educational environments, animals homes, domestic gatherings, urban parades, temporary encampments, documentary videos, publications, exhibitions and buildings for people. Recent projects include Sundown Schoolhouse - an itinerant educational program; Edible Estates - working with families to publicly grow food where they live; and Animal Estates - making homes for native animals in cities around the world, which debuted at the 2008 Whitney Biennial. Haeg studied architecture in Italy at the IUAV and Carnegie Mellon University. He is a 2010 Rome Prize Fellow and has produced projects and exhibited work at Tate Modern; SALT Beyoglu, Istanbul; the Hayward Gallery, London; the Liverpool Biennial; the Whitney Museum of American Art; SFMoMA; Casco, Utrecht; Mass MoCA; among others. The Sundown Salon Unfolding Archive (Evil Twin) was released in 2009, and the third edition of Edible Estates: Attack on the Front Lawn (Metropolis Books) will be released in 2013.